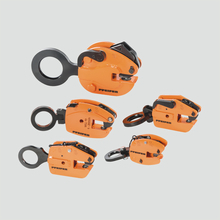 Horizontal lifting clamps, clamps for girders. 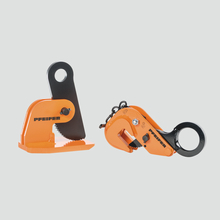 PFEIFER lifting clamps are designed acc. to the American safety standards. Thus, they have proven to have a longer lifetime and are therefore more effective and safer, especially under hard conditions of use. 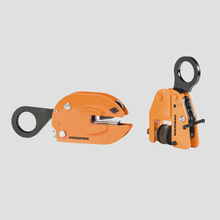 More than 40 years of success on four continents for PFEIFER lifting clamps are the proof.